In this episode, Guru Dronacharya arrives in Hastinapura and awes the Kuru princes with his skills. Bhishma retains him as the royal arms and weapons trainer for the Pandava and Kaurava brothers. 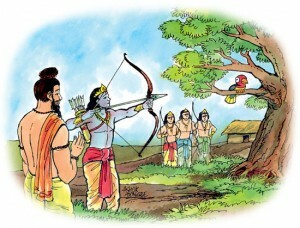 Arjuna excels in archery. Ekalavya, a tribal boy, comes to Drona to learn from him. Drona refuses to accept him as a student. But Ekalavya masters the art of archery by practicing in front of a statue of Dronacharya for which he had to pay the ultimate guru dakshina.